What? Speedruns nerfed!? 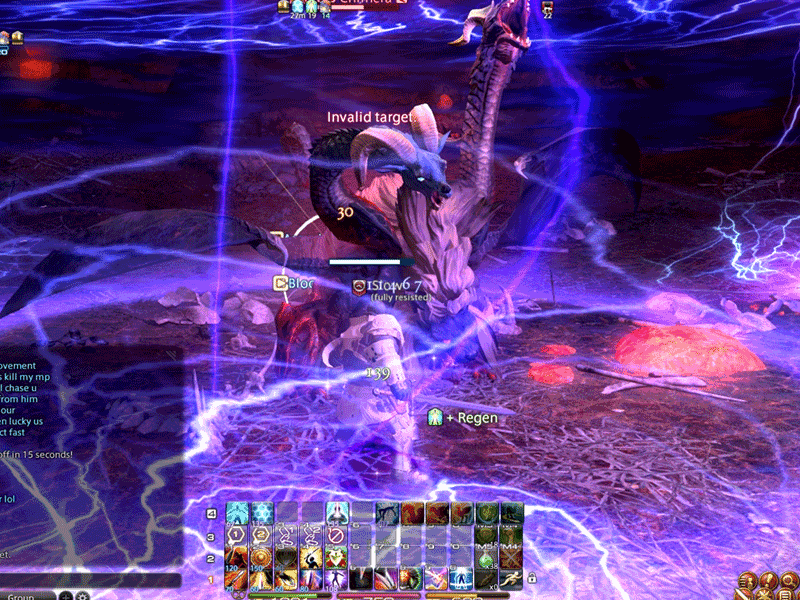 – See what else happened in the 09-11-13 patch. 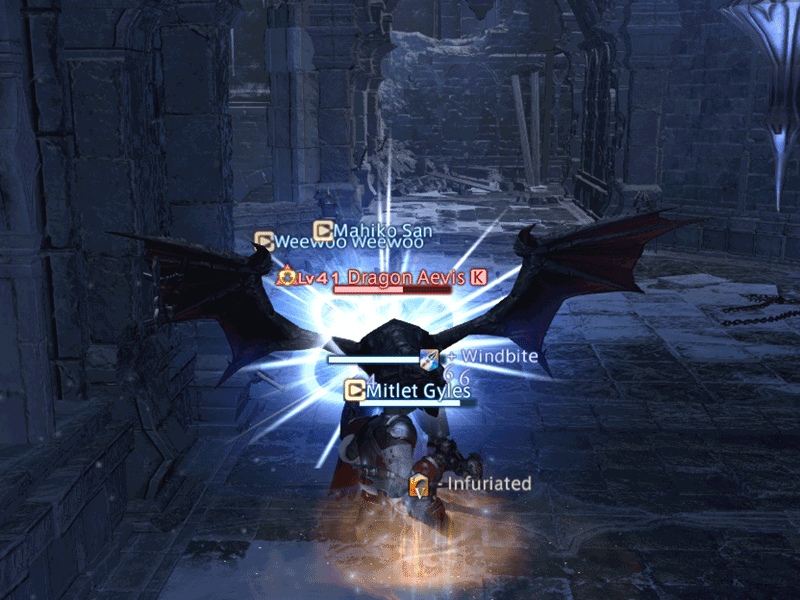 In instance dungeon “The Wanderer’s Palace” and “Amdapor Keep”, we have increased the amount of AllaganCoins that can be obtained from a treasure chest. Certain conditions would sometimes cause the server to crash while interacting with the free company “Company Chest”. 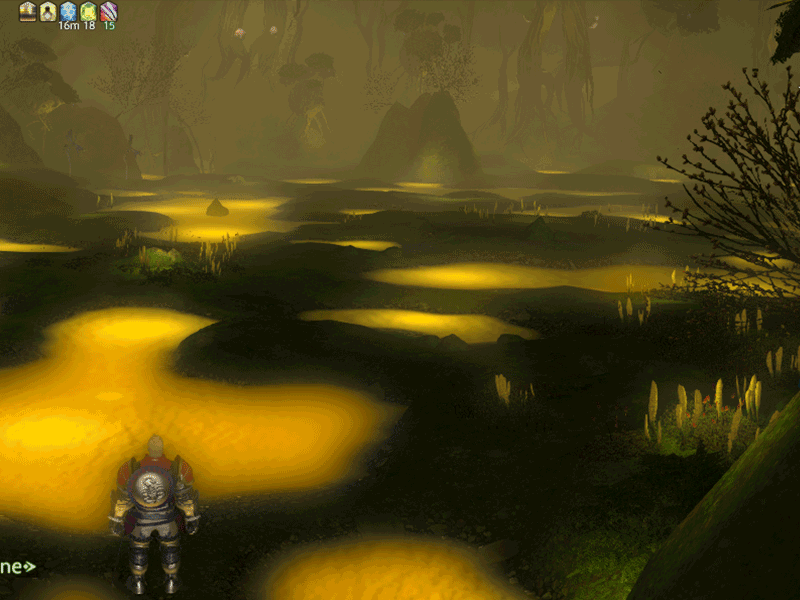 Soon after its discovery, miners from across the realm flocked to the Aurum Vale, driven by rumors that deep within lay endless veins of mythril. What they found instead was gold, but not the sort which would make them rich. Believing the substance precious aurum, miners unknowingly stumbled into deep pools of glowin venom thereafter known as goldbile. Not only did the liquid burn their skin, but the noisome fumes given off by the foul ooze cooked their lungs when inhaled, bringing on a quick, yet excruciating death. These truths, however, have done little to prevent new miners from braving the suffocating shafts, now even more driven to find what those who entered before could not. 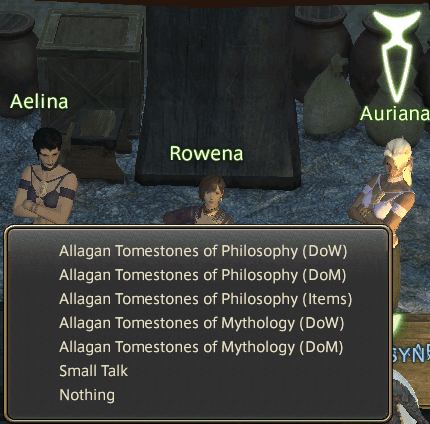 Where is Aurum Vale: Located in Coerthas Central Highlands, South West of Camp Dragonhead, South West of First Dicasterial Observatorium of Aetherial and Astrological Phenomena (mouthful huh!) 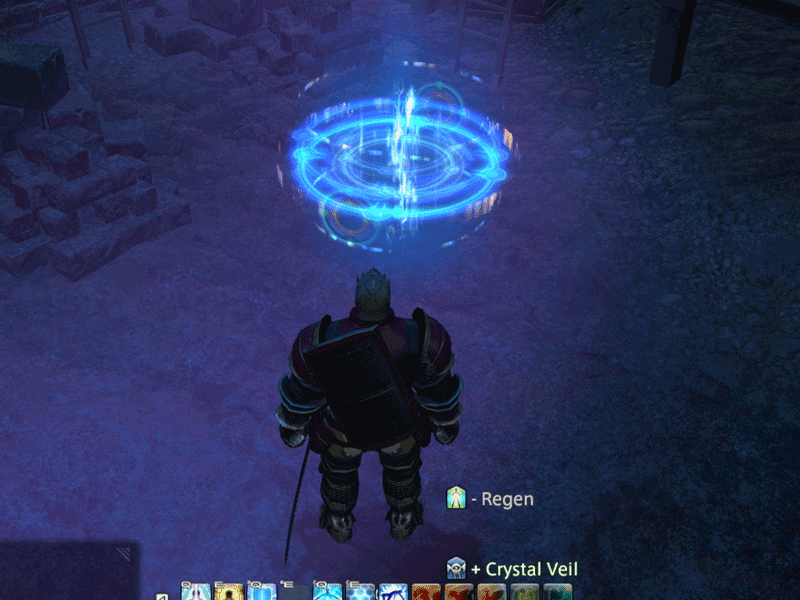 near Dzemael Darkhold actually. 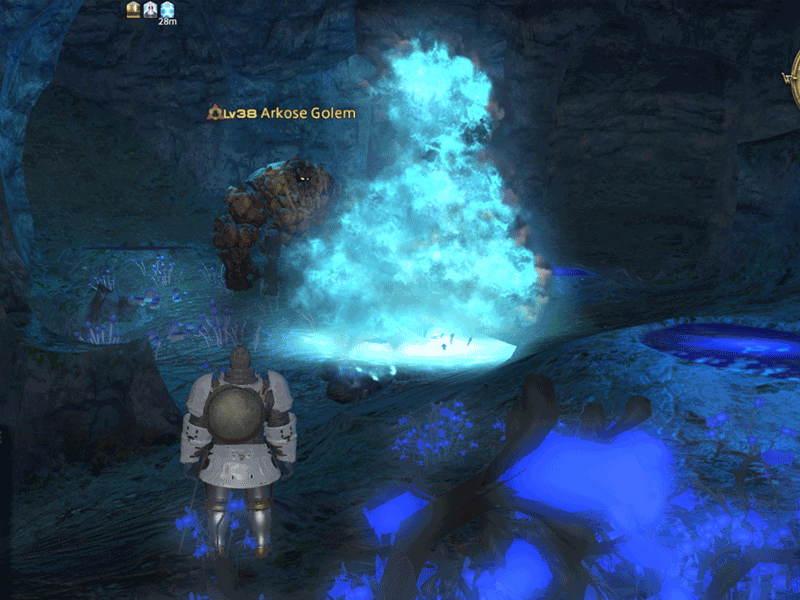 Aurum vale is all about poison, so you can imagine… Ochu’s and Malboro’s! Wohoo! 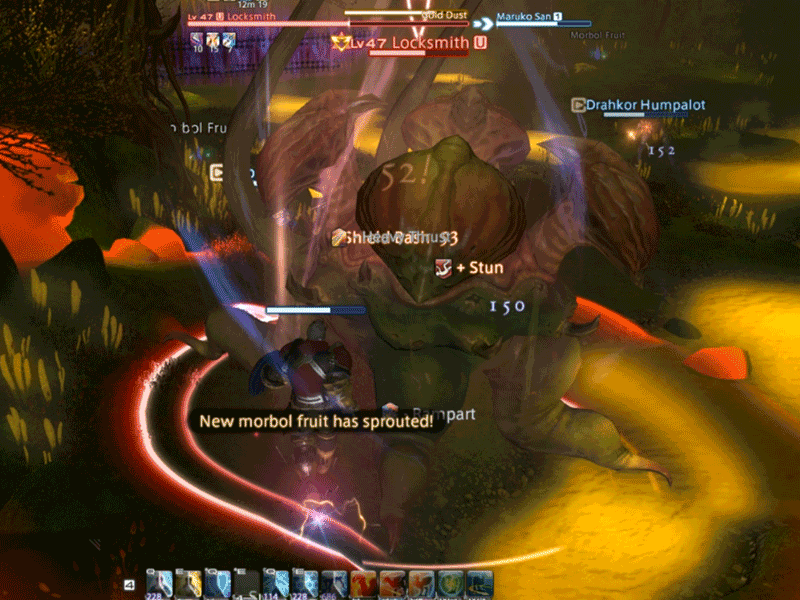 Bad Breath time… Watch out for the Goldbile (map traps) and while fighting the bosses make they stack a poison type debuff called ‘Gold Lung‘ which you can cleanse yourself from eating the morbol fruits in the map. 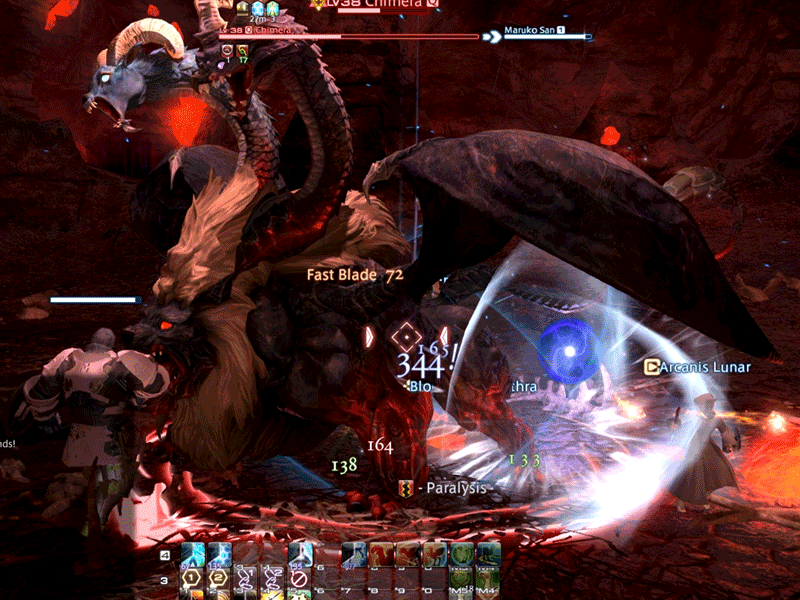 There are also mini-boss Malboro’s called Goldvines (there are 3 in the dungeon). 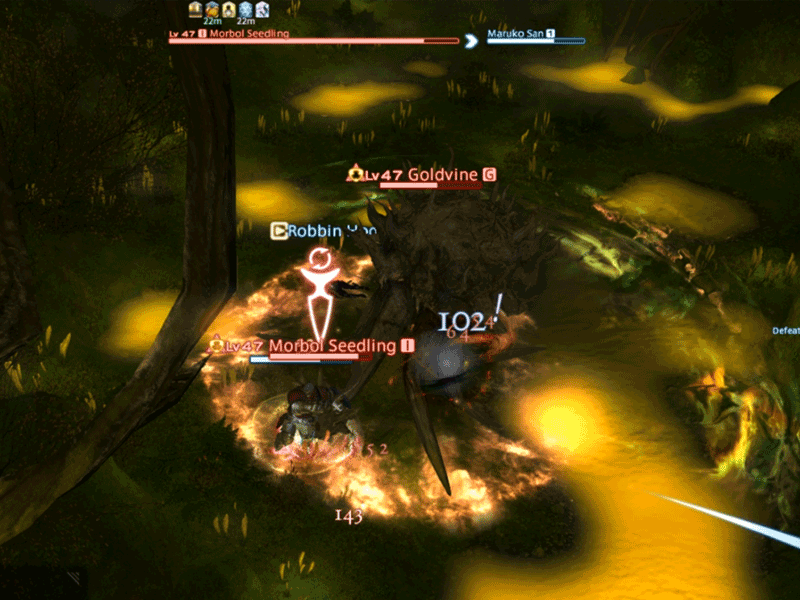 Before fighting each Goldvine there will be morbol eggs that will spawn morbol’s if you do not defeat them in time. 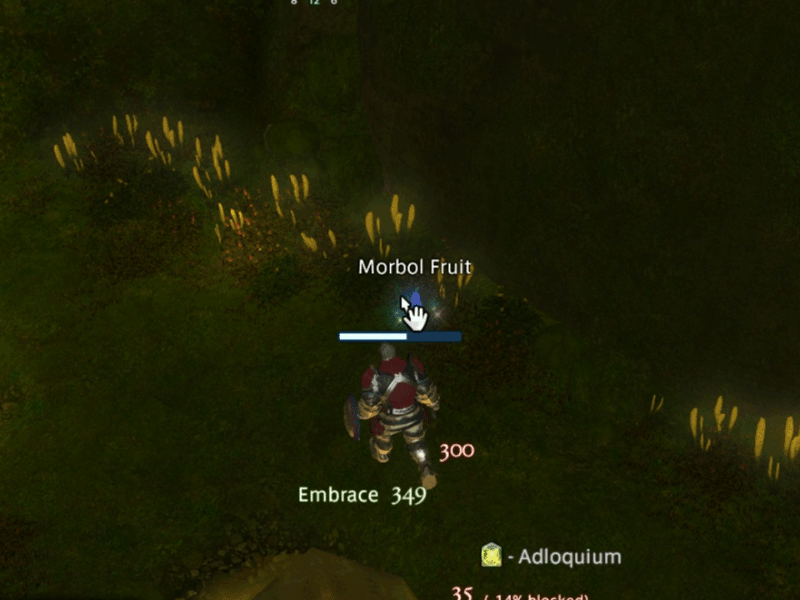 This is a straightforward fight, everyone should be careful of the number of ‘Gold Lung‘ stacks you have on you, once they hit 2-3 stacks make sure you cleanse them off by eating a Morbol Fruit. 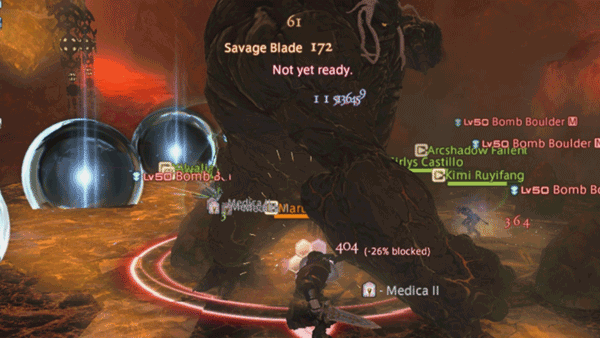 Tanks should keep locksmith facing away from the party and also stun his AoE when possible. 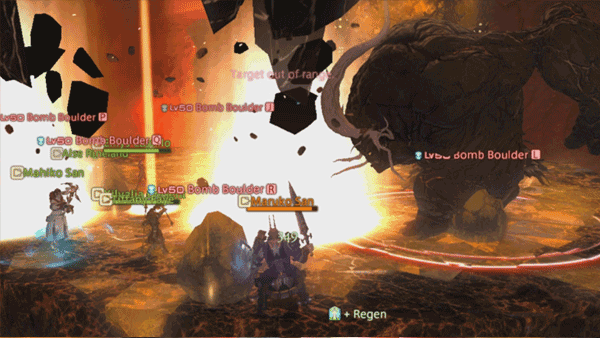 Coincounter is a giant cyclops, what a cyclops is doing in this dungeon… Who knows! But I see what they are doing with the name and the theme of the dungeon, being a Cyclops does make someone a good Coincounter… LOL. 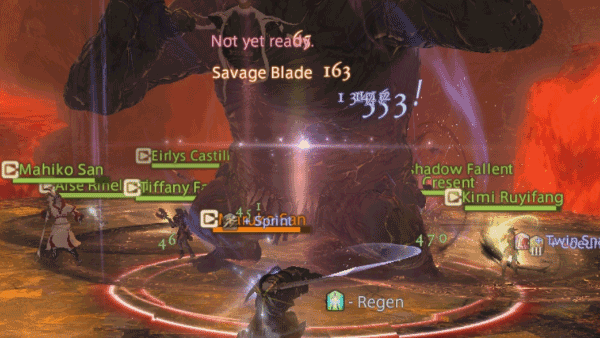 One thing to note while fighting him he sometimes, even if your tank has full emnity, runs to a random party member and attack them. 10 Tonze Swipe (frontal cone): This is an instant cast skill, but nothing to worry too much about just position Coinconter away from the other party members for this. 100 Tonze Swipe (frontal cone): Position away from Coincounter to avoid this attack, trust me… It hurts! Glower (targetted attack): Coincounter targets a random party member and shoots a laser from his eye… YUP! 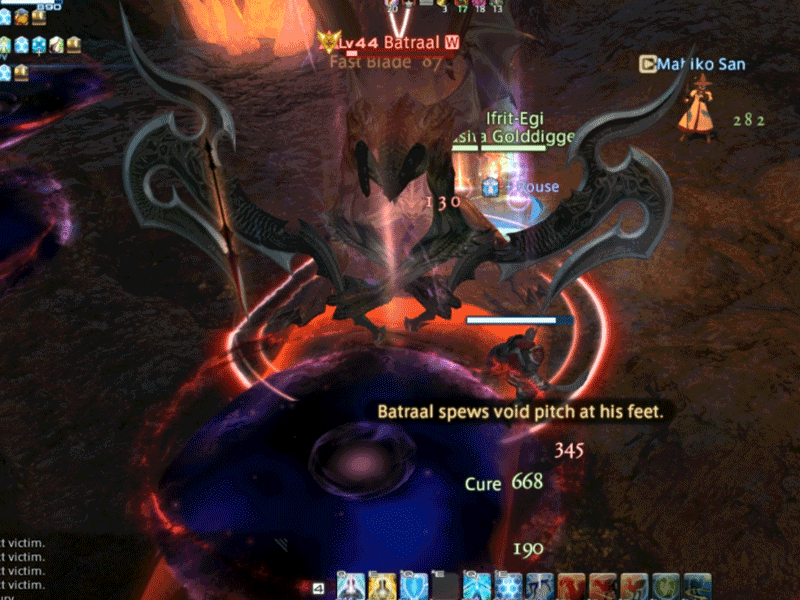 Eye of the Beholder (massive frontal cone rage): at about 50% health and below, he will face a random party member and do this ability, if you are targetted try to position away as far as you can. 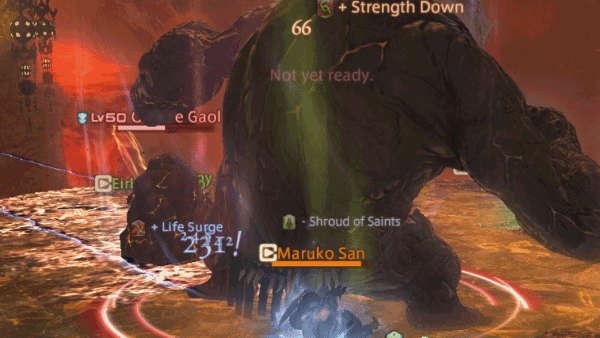 This can be disrupted by stun BTW. Bad Breath (Frontal Cone): The infamous Malboro skill, you know the drill – stay away from this! Seeking to utilize an existing labyrinth of natural caves, the Ishgardian house of Dzemael began construction on their eponymous Darkhold near the end of the Sith Astral Era, intending it to server as a refuge for those fleeing the flames of the Dravanian Horde. When the house’s digging uncovered an entrance to the void, allowing an army of voidsent into this realm, however, they immediately abandoned their plans and withdrew from the subterrane, sealing it off so that they might contain the otherwordly invaders within. Despite all this, the house is unwilling to relinquish its claim to the caves, and believes that if they can be cleared of the voidsent, they might still be able to see their original plan brought to fruition. 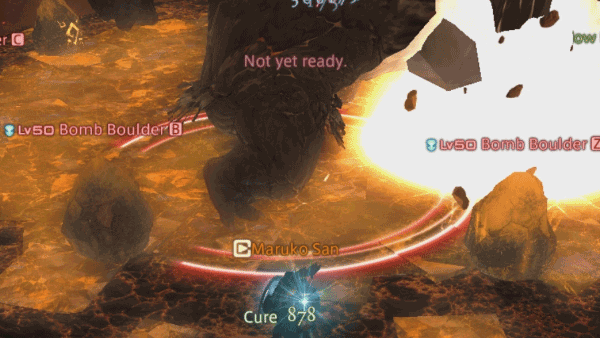 The Dzemael Darkhold has a special mechanic at the early part of the dungeon where you will see an ‘All-seeing Eye’ run through the halls casting an AoE. 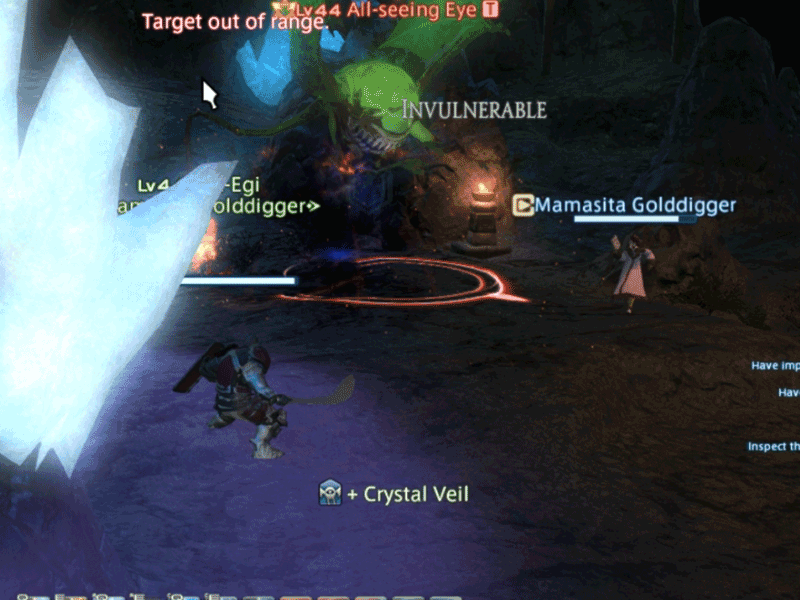 You can avoid being hit by this in two ways, either stay near glowing crystals which give you a buff called ‘Crystal Veil‘ this significantly reduces the damage of the AoE or simply avoid it by going far away from the Eye. The tricky part here is that he wanders unceasingly even while you are fighting monsters, so be careful! 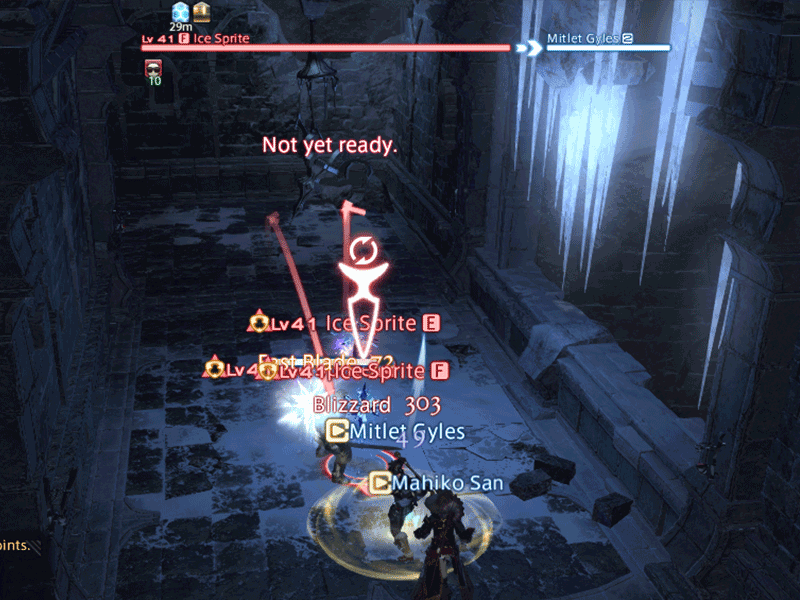 This is a tricky fight if you do not position yourself well, and of course make sure all of your party members are within the Crystal Veil. More details below. Special Mechanic (Crystal Veil): Stay near crystals to gain a buff called ‘Crystal Veil‘ this is the only way to damage the All-seeing eye and it will also significantly reduce the damage taken from his PBAoE – Eyes on me. Note that the the energy the crystals give will fade after some time, when this happens move to the next crystal to get the buff again. We like to simply call him… Turd! lol He summons adds that stay on top of a platform, they throw rocks at you, some can be avoided and some cannot, make sure you avoid the ones that can be! 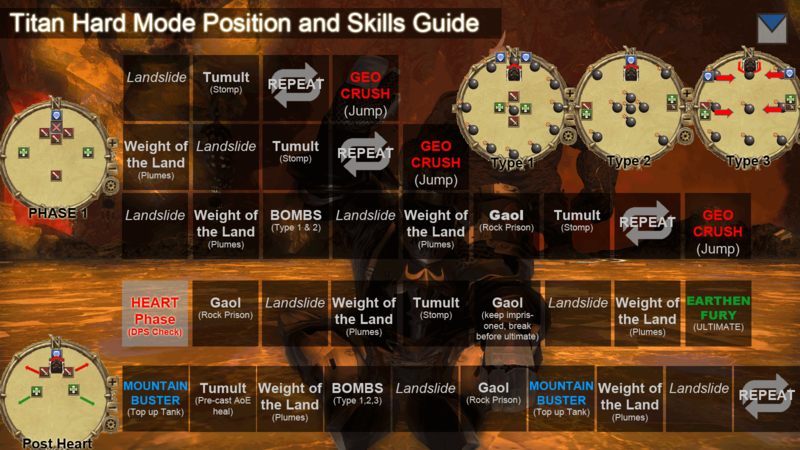 (they will have ground AoE cast circles) oh, and also, dont lump up together! Batman ugh Batraal is a huge demon bat with two swords, he has a frontal line attack (Desolation) that can instantly KO anyone caught in the attack, so watch out for it! 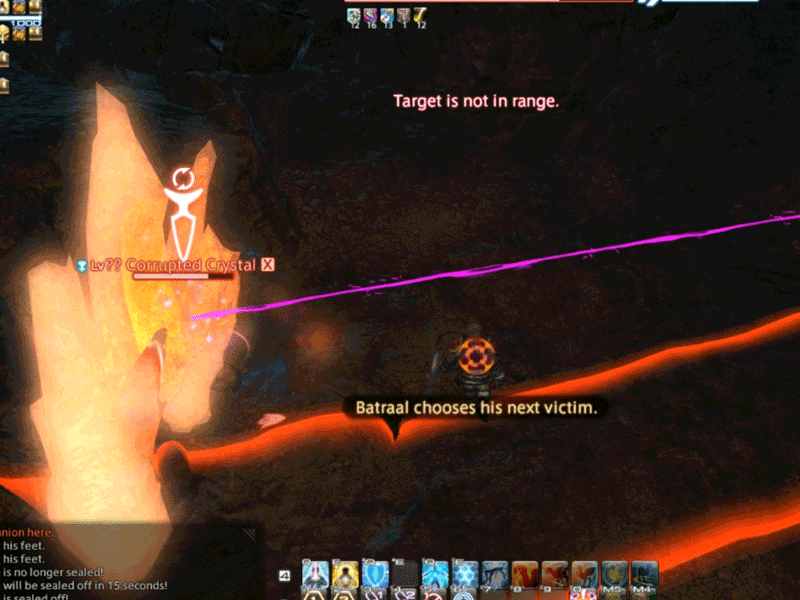 He will also link himself to crystals at several parts of the fight which makes him invulnerable, you will have to destroy the crystals he attuned to, in order to proceed. 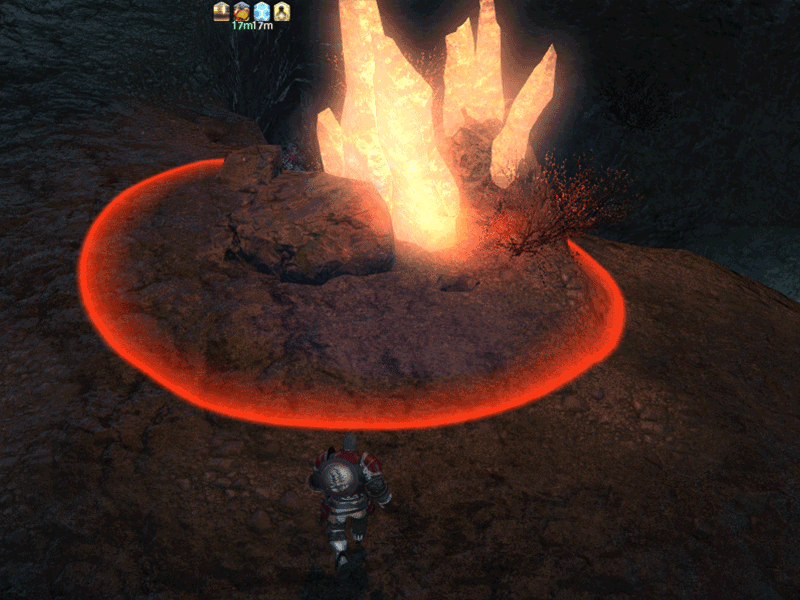 Watch out though, the crystals do an AoE every now and then so stay away whenever it casts the AoE. 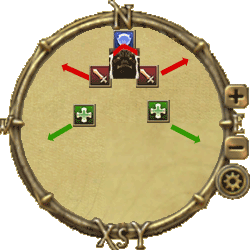 Desolation (frontal line attack): This is the attack that WILL kill you if you do not avoid it. One of four watchtowers built along the Sea of Clouds by the city-state of Ishgard, the Stone Vigil was overrun and occupied by the Dravanian Horde not long after the Calamity. The following years have seen the knights of House Durendaire make several attempts at reclaiming the fortress, but to no avail. What could it be that thwarts their every effort? Stone Vigil is a classic fortress map / instance where your team works their way to the end of the castle fighting enemies and bosses. Since Stone Vigil has been overrun by Dragons you will notice the barriers are made up of flames. Obviously most of the enemies inside are dragons also. There are traps in the form of random dragons popping up and breathing fire to your party and ice sprites that will pop up in some areas in the dungeon. There are also roaming enemies which you have to watch out for! 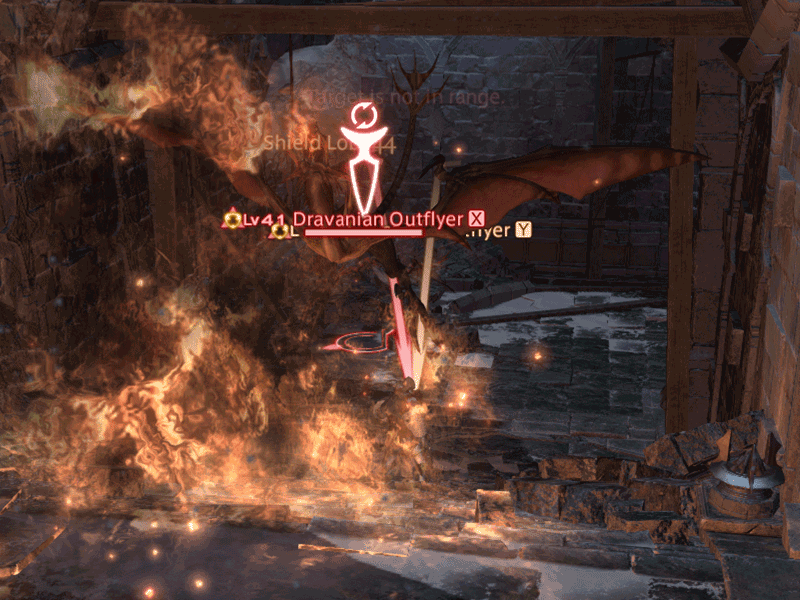 Dravanian Outflyer: These dragons swoop down in random areas of Stone Vigil as a map trap, they spit fire in front of them dealing fire damage. Make sure that you remember where they drop down so that you do not fight midst their fire breath. Dragon Aevis: Just like the Manor Maidservants in Haukke Manor, these Dragon Aevis’s are roaming enemies, make sure to tag them separately from the other enemies in the dungeon or else you’re in for a party! Ice Sprite: In some parts of Stone Vigil, where the area is open to the outside breeze, Ice Elementals will pop up in groups of four. They are easy to beat on their own, but make sure you dont get caught fighting them while a patrolling Dragon Aevis hops in. 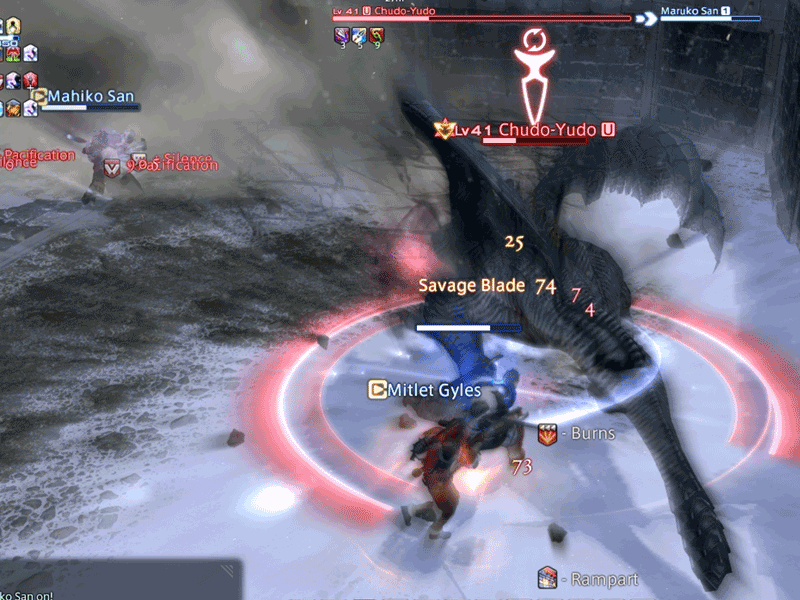 Chudo-Yudo only has two skills, but they hit hard and they are AoE skills so make sure you stay clear from him. 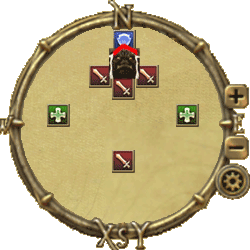 His main mechanic is running around the map casting Swinge, so just make sure the party positions themselves accordingly. This is a fun fight! 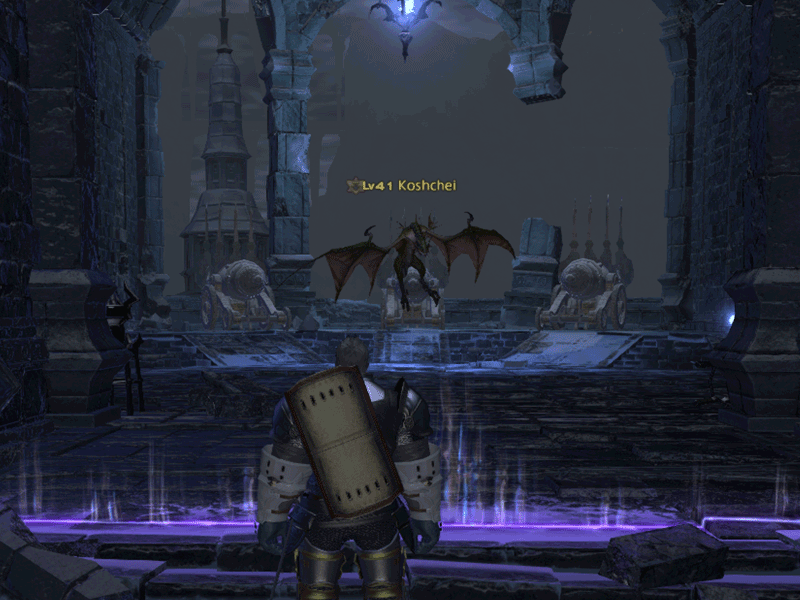 Reason being you have to control 3 cannons in Koshchei’s lair because a dragon will pop up to help Koshchei out and this will signal your party to interact with the cannon to kill the other Dragon. 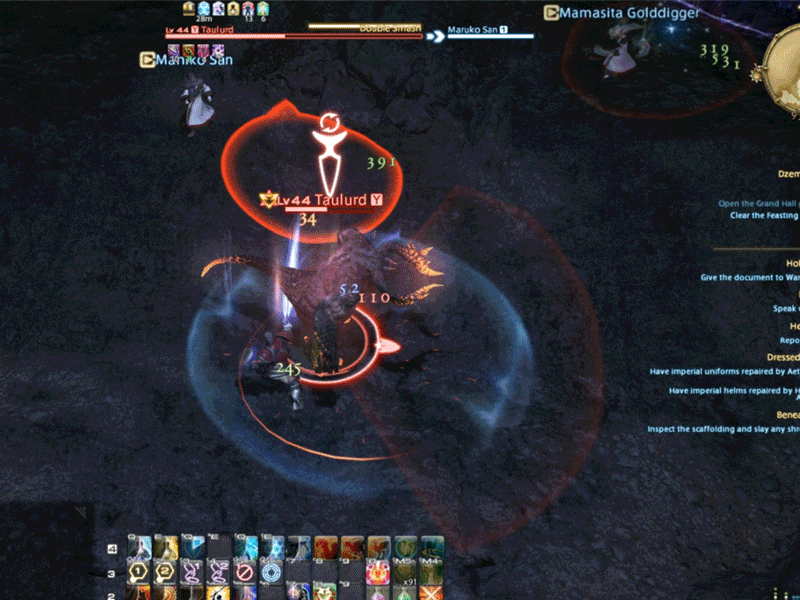 Koshchei also summons whirlwinds which deal huge DoT damage if you stay inside it (they are slow and easily avoidable) but he casts multiple whirlwinds as the fight goes on so positioning is key. 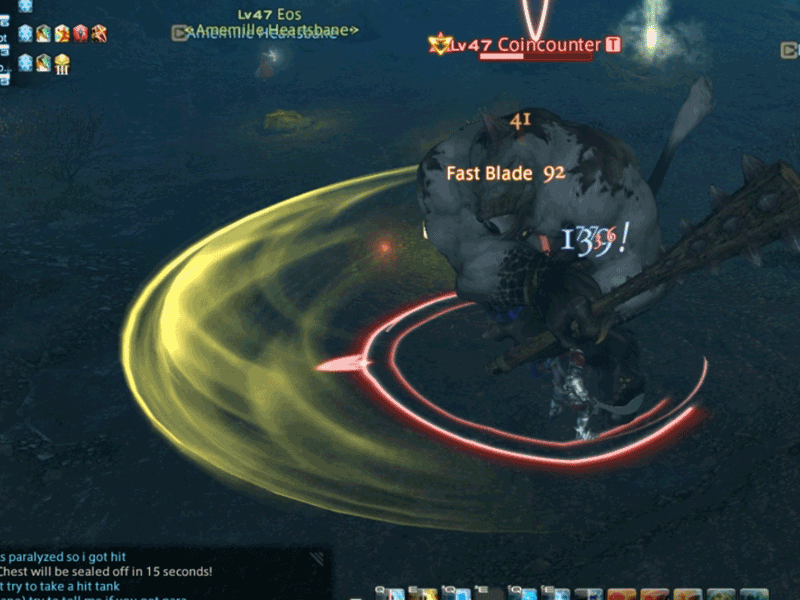 If you have a ranged DPS they should position themselves near the cannon to be able to interact right away. The tank should face Koshchei away from the rest of the party (We place him near the entrance of the room). This guy is the second main boss dragon you will fight in the series of dungeons, he is an ice dragon and casts some nasty AoE attacks! His main mechanic is to fly into the air multiple times throughout the fight, swoops down to do an ice breath attack and then lands to continue fighting you. 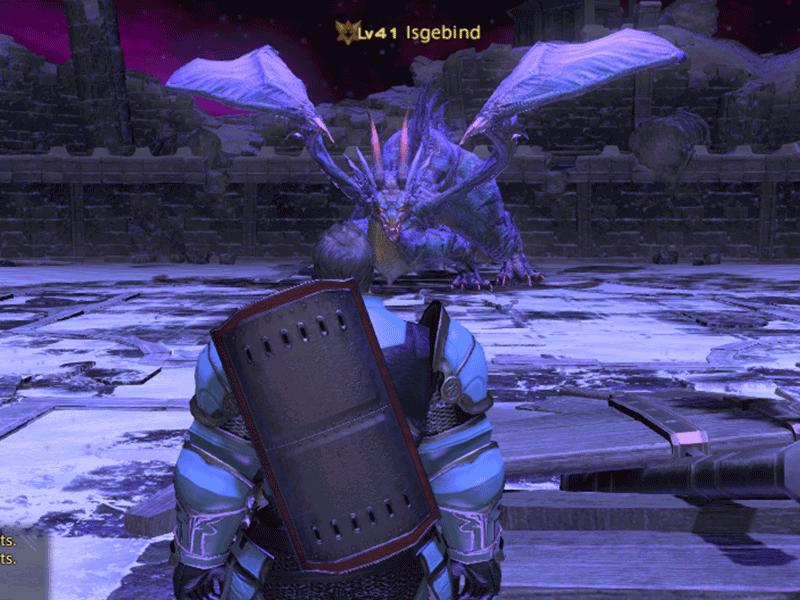 At about 50% life when he takes to the sky Isgebind casts targetted AoE projectiles to all of the party (make sure to avoid this) in addition to swooping down to do an ice breath. 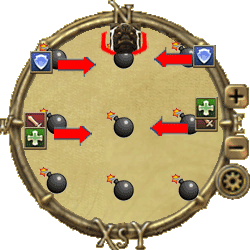 The fight is about positioning and making sure you dodge his AoE attacks. 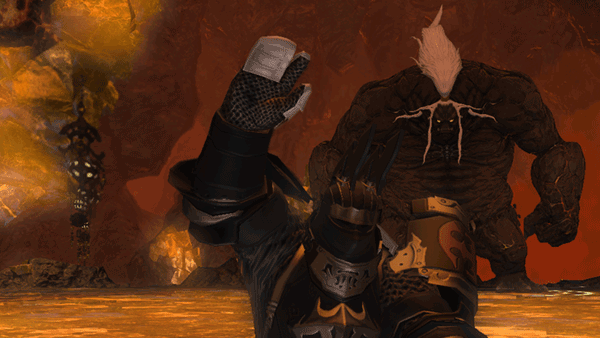 Near an old mountain path once used by Sixth Astral Era woodcutters as a detour through the more perilous stretches of northern Thanalan, lies a cave sought out only by the ignorant or the foolish. Upon first glance, the shade of its maw might appear inviting to one who seeks to escape the punishing rays of the midday sun. However, any good woodcutter knows to keep his distance, for it is said all who enter, never return-the cries of the damned echoing up from the depths the only testament to their folly. Heed this dire warning, and you may live. Ignore it, and soon it shall be your screams that add to the cacophony. 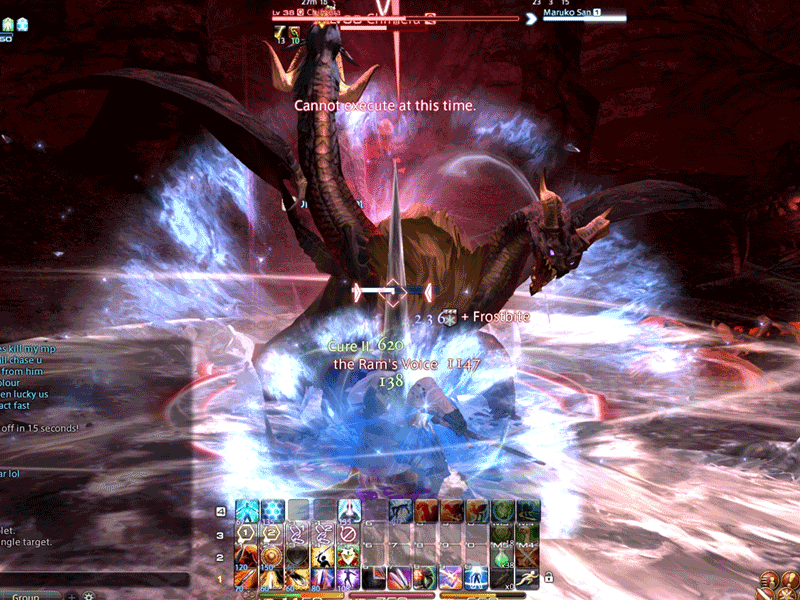 Traps – There are several Quicksand and Exploding Pillar traps riddled across the dungeon. 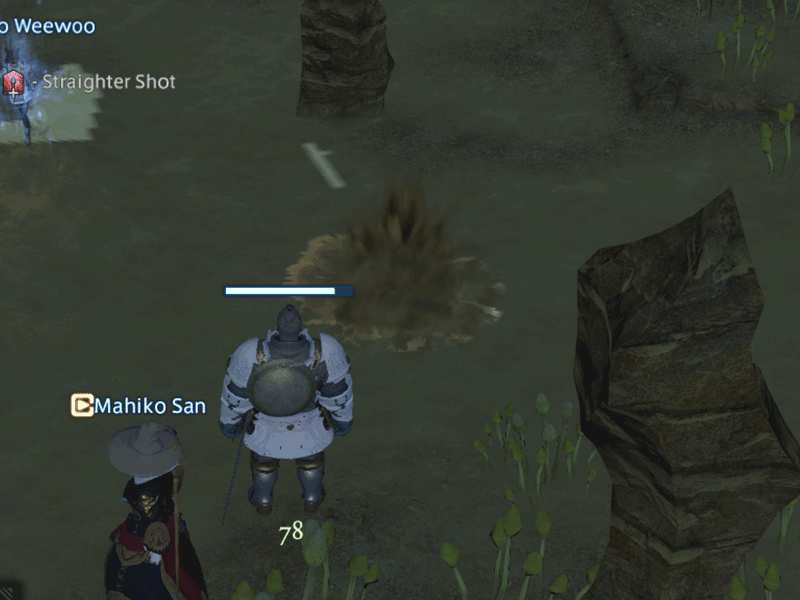 Be careful not to step on them during fights because they deal a good amount of damage and when fighting a group of enemies could deal enough damage to throw your healer off. Bombs – The bombs in this dungeon should be dealt with carefully, their explosion will kill you if you are caught in the casting radius. 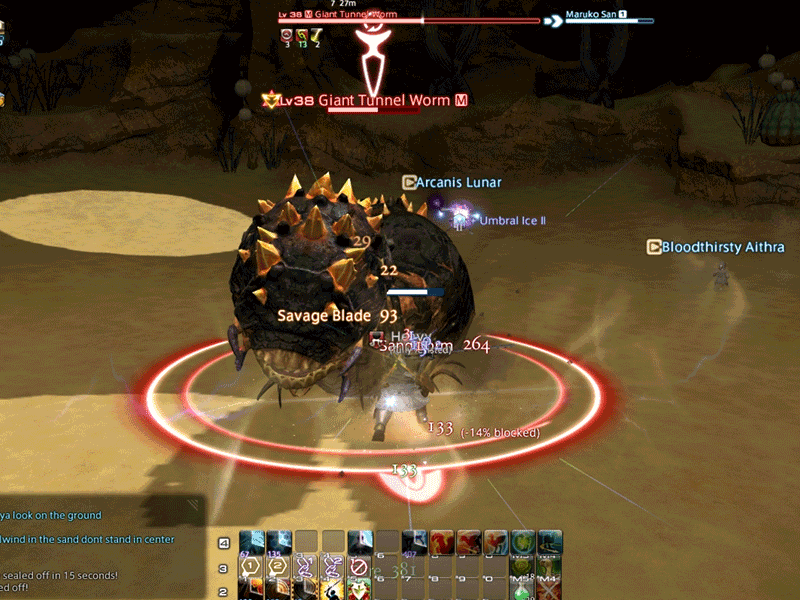 Cactuar (Saboteur Desertor) – This guy casts the traditional 1000 needles, something to note is the damage is shared to all party members who are caught in the cast circle. 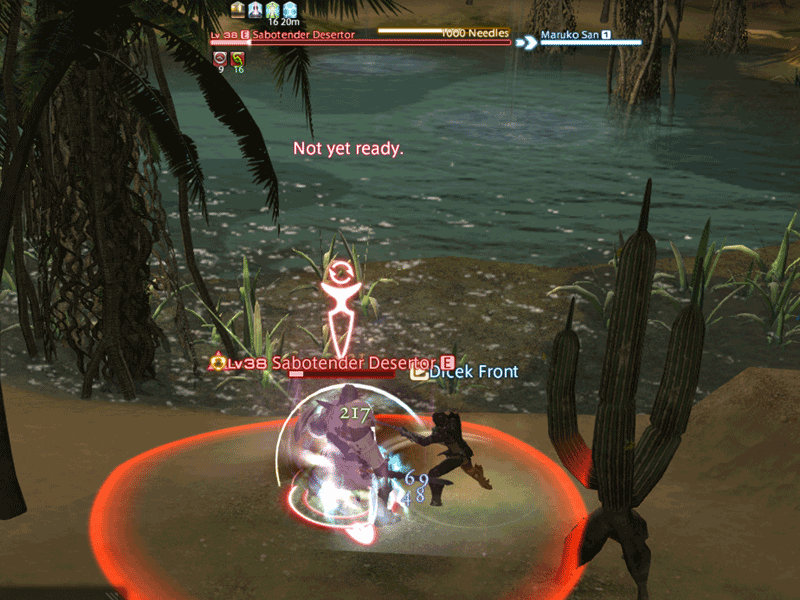 This ability can also be disrupted by stunning the Cactuar. 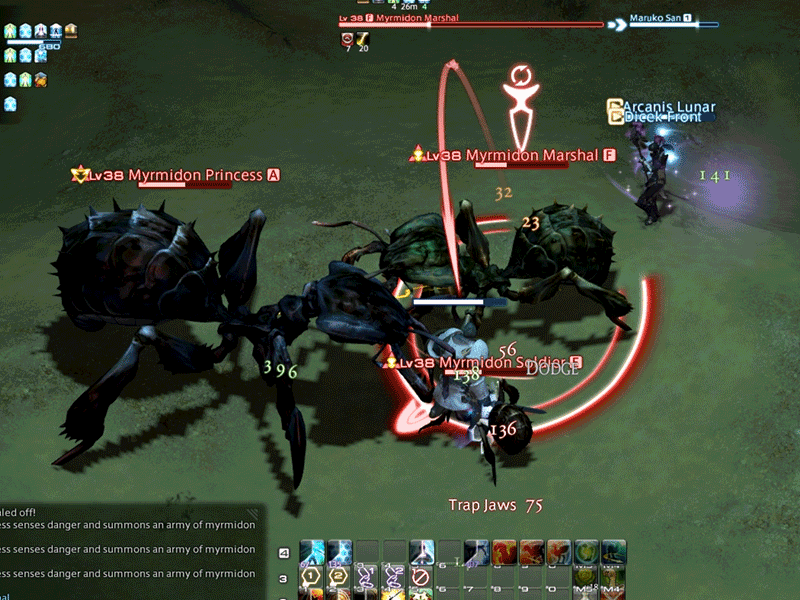 The first boss of Cutter’s Cry is Myrmidon Princess, her mechanic is simple – she spawns minions to aid her when she falls below 50% life. 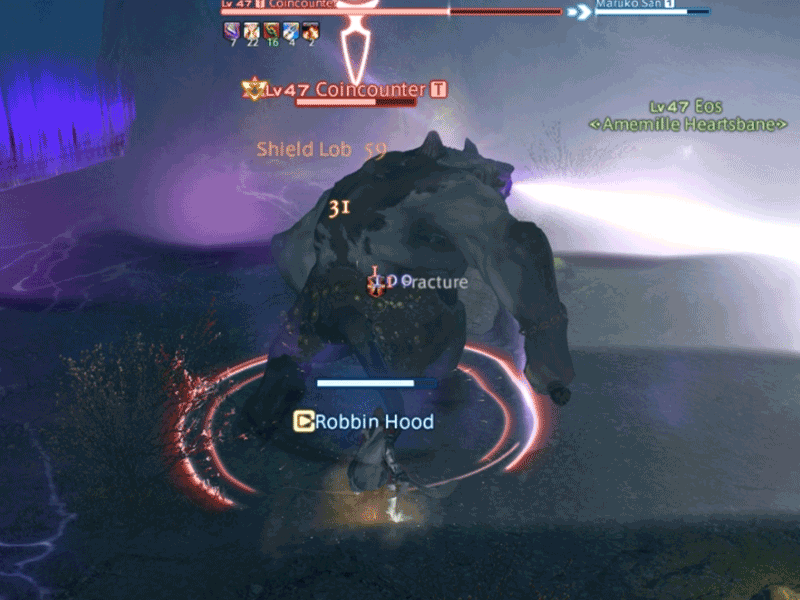 As a Tank, make sure you get as much emnity from the adds with priority of tanking Myrmidon Princess, keep her facing away from the party because she has one cone attack skill that deals big damage if you are hit with it. Myrmidon Marshal – Has Mandible Bite. Defeat this add ASAP because he heals the princess. 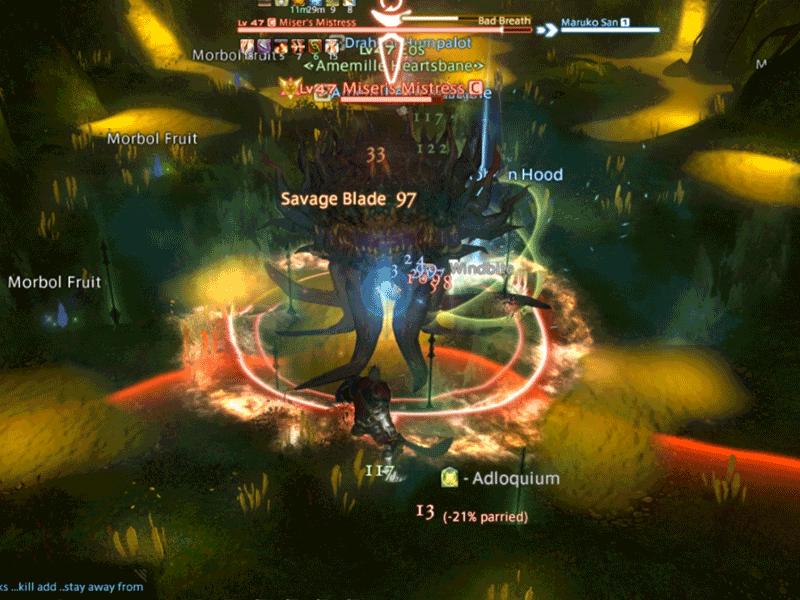 We had a fun time playing this boss, he has a numerous skills but if you know how to deal with them, they are easily managed. The Chimera has 3 heads (Left Head is a Dragon, Middle Head is a Lion, Right Head is a Ram). 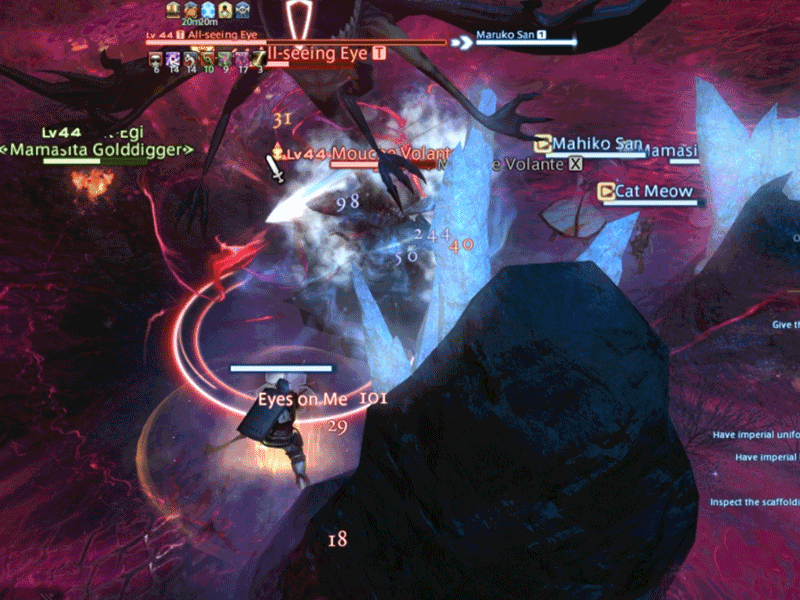 Key thing to remember in this Dungeon, is to watch the color of the Chimera’s eye. There will be a prompt letting the whole party know what color the Eye of the Chimera is. 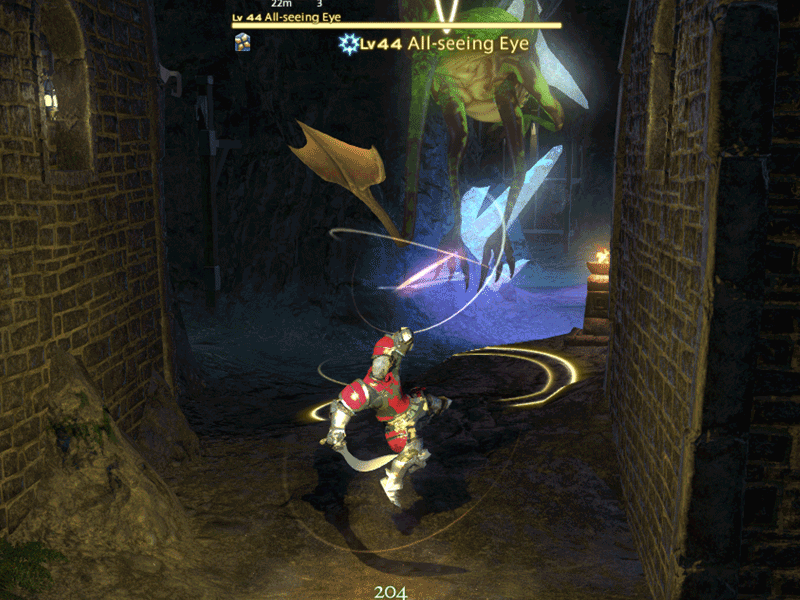 Remember, don’t stay too far or too near the Chimera so you can react according to how it changes its eye color. Eyes focus on a Single Target = Don’t panic he will cast a ball which will follow his target and explode, this is a DEMI attack halving the life of anyone caught in the exploding radius, if you are the target try to get the ball away from the rest of the party and move out to let it explode. The Ram’s Voice – PBAoE which should be avoided by your party members. It’s ok for the Tank to try and avoid also if they can.